No more banking on women CEOs? Until recently, they rubbed shoulders with captains of industry, did business with high government officials and led a peripatetic existence. NEW DELHI: Until recently, they rubbed shoulders with captains of industry, did business with high government officials and led a peripatetic existence. Perhaps not anymore. 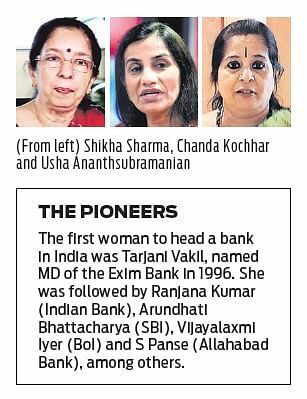 Chanda Kochhar, Naina Lal Kidwai, Shikha Sharma and Usha Ananthsubramanian were heads of top banks in the country and were counted among the most powerful women in the land. But in the past six months, three of them have had to step down from their high profile jobs under unceremonious circumstances.Former Punjab National Bank chief Ananthsubramanian was sacked on August 14, a day before her retirement for her alleged involvement in the PNB scam. Sharma’s tenure as the Axis Bank chief executive was cut short by the Reserve Bank of India for the rising non-performing assets in her bank.On Thursday, Kochhar, facing allegations of favoritism in sanctioning loans to Videocon in which her husband was a partner, too made an exit. A gold medalist from Jamnalal Bajaj Institute of Management Studies, Kochhar has no fancy foreign degrees or a family business background like her peers and former HSBC country head Naina Lal Kidwai. Her grit and talent, and grooming by her mentor KV Kamath, a former non-executive chairman of ICICI Bank, helped her to become MD and CEO of the bank in 2008, which she had joined as a management trainee in 1984. With her woman next door image, Kochhar soon became an icon for many women. “No sector has been so generous in promoting women. We have so many women heading both public sector banks and Private sector Banks. 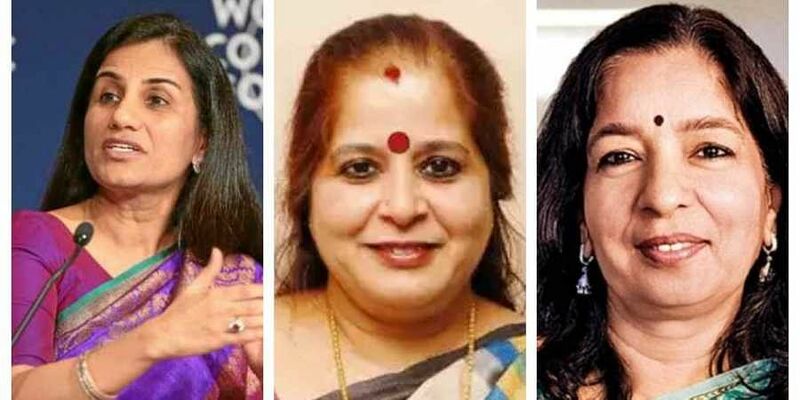 Women are at the top,” said Kochhar last year after she was named among the top five powerful women in the financial sector by Forbes. “It is just unfortunate. It is a difficult time for the banking sector. However, I feel eventually things will settle down in couple month,” said Kidwai. “I don’t know if the allegations are true or not. But it cannot take away the fact that she (Kochar) did extremely well in her nine year tenure as the CEO,” said N Vaghul, former chairman of the ICICI Bank. Gender equality seemed broken here. What the purana said women are ABALA. Abala means trusted . How the women in the story become cheated by men of 'confidence' here is the evidence.